This is a section of a Beryl crystal I found digging in the dumps in the late 1990,s. The color is a deep golden color with a small amount of gem material. 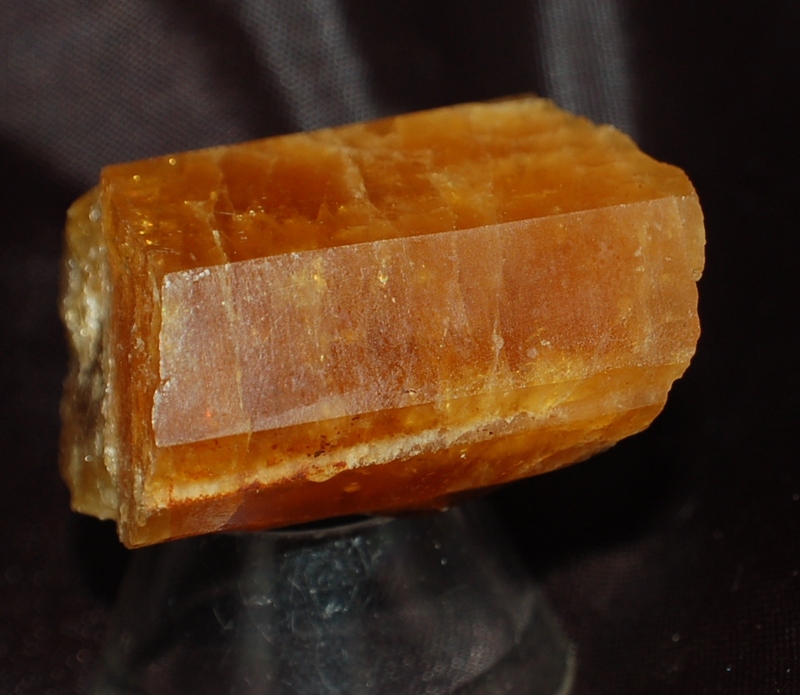 I call it golden Beryl but some would call it Heliodor. One of the fun parts of collecting at Rattlesnake mountain is all the different shades of color of the Beryl. The day this was collected we found 11 distinct different shades from pale blue to deep blue to golden Beryl. Picture by, collected by and in the collection Tom Klinepeter. Size: 3.4 cm x 3.1 x 2.1 cm.